The Mill, production company Tempo Media and directing duo AlexandLiane team up with the stars of the National German football squad for Merceceds Benz 'Hungrig'. 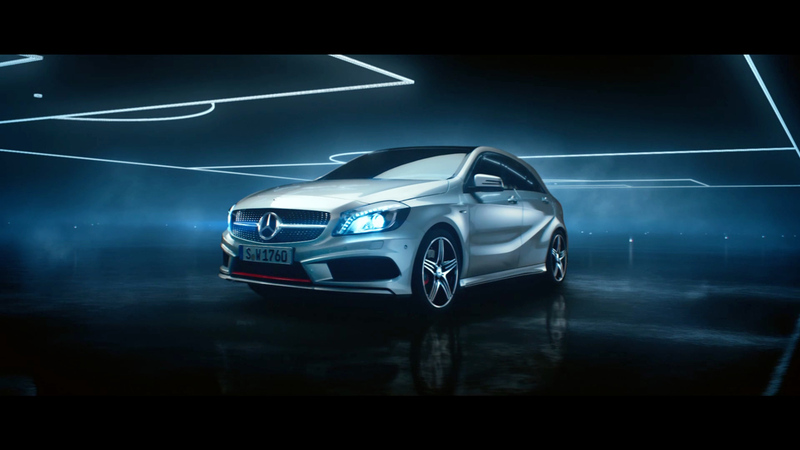 The Mill worked alongside the creatives at agency Jung Von Matt to develop this engaging spot 'Hungrig' for the Mercedes A Class series. The spot was shot on location in Munich where they had the entire German Football squad on side and ready for this year's EUFA Euro 2012. German football hero's Mario Gtze, Mesut Ozil and Manuel Neuer make an exciting cameo playing side by side with the new faces of theteam with Benedikt Hwedes Lukas Podolski, and Marco Reus. The charged campaign is set against Audiomachine's pulsating dubstep track 'Guardian's At The Gate'. Headed up by Mike Chapman, The Mill's VFX team produced some stunning visuals and composites built around the players with a grade by colourist James Bamford that sets an atmospheric tone to the film. It makes for an intense ride that will certainly satisfy the hunger of many adoring German football fans with the display of a united, A-class team ready for attack.